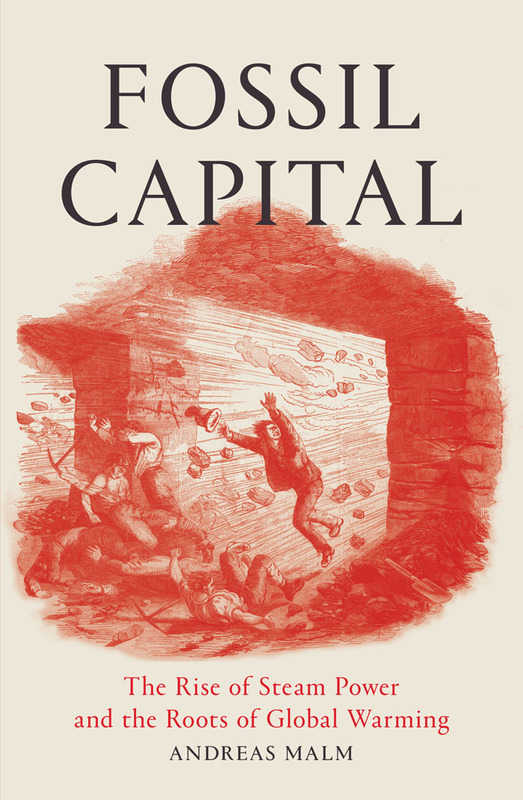 Andreas Malm's brilliant book Fossil Capital suggests that the origins of capitalism and fossil fuel use are inextricably linked. Is there an alternative to this dangerous relationship between fossil fuels and capitalism? and fossil fuel use are inextricably linked. More provocatively he argues that t he choice of coal to power early industrial capitalism was a conscious rather than inevitable decision. This choice and the resultant consequence of global warming were made in order to undermine and challenge working class resistance to early 19th century capitalism. In the 21st century with temperatures continuing to rise and 2016 once again the hottest year on record by some margin, the issue of an alternative to Fossil Capital is more urgent than ever. The CACC trade union group are delighted to be in conversation with Andreas Malm to discuss this question. Is there an alternative to the dangerous relationship between fossil fuels and capitalism? What does an alternative look like? Is it possible? Can trade unions play a central role? Andreas Malm will outline some of the key ideas in his book and join a conversation about the urgent need for change. The event will be taking place in Student Central, Room 2C, Malet Street, London, from 6:30pm to 9pm on the 16th November. We hope you are able to join us.